Proper cash flow management is an important factor for determining the success of a small business. Effective strategies can increase cash flow and help store reserves for unexpected expenses. Using the appropriate money management approach for your business can do a great deal to secure the sustainability of your company’s future. Below are tips that your business can incorporate into your cash flow management plans. It is important to know how far you can stretch financial capital and the point at which you will begin to turn a profit. Using necessary tools—for example, a cash flow forecast—will help you determine the cash flow management strategies that are right for your business. Make specific cash flow goals based on these limits and adjust goals as new information comes in. Not only will this send red flags when you do not reach goals, it will help you make smarter cash flow management decisions. Setting aside small amounts from each payment received may help with unexpected shortfalls in the long term. New small businesses may feel the need to reinvest every penny to expand the business, but finding yourself in a pinch when an unplanned expense arises could be detrimental to the business. To boost your cash reserves, invest them in interest-bearing accounts. Not only will this help you stock up for the future, it will be an additional source of income. Many banks offer interest-earning savings accounts or certificates of deposit with higher interest rates. Some businesses get stuck when waiting for cash flow from outstanding invoices and have to forfeit potential growth. Invoice factoring involves the purchase of outstanding invoices for already-delivered services to get businesses the cash that customers owe them sooner. No collateral or credit is necessary, giving new businesses with little capital or poor credit an opportunity to grow at a faster rate. Many industries, such as manufacturing, staffing, and trucking, use invoice factoring to take advantage of new business prospects or to ensure they can pay employees on time. Being aware of your company’s strengths and weaknesses can help you plan effective cash flow management strategies. Building up cash reserves and utilizing invoice factoring are just a few of the strategies available that can help your business increase cash flow and prepare for unexpected circumstances in the future. 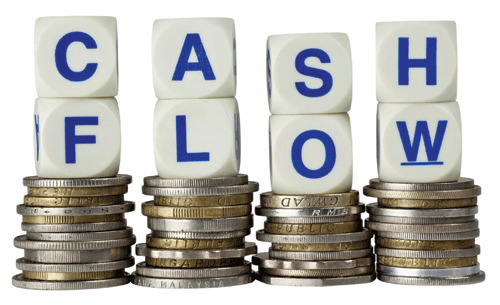 Contact Bay View Funding for assistance managing cash flow for your small business today.